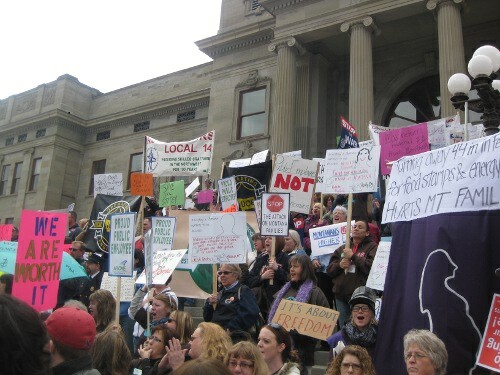 On Friday, April 1st, 2011, 1,500 Montanans flooded the Capitol lawn to voice their objections to sweeping and hurtful cuts in the Montana state budget. “Courage, Not Cuts!,” was their rallying cry. The “No Fooling with Our Future Rally” was presented by Montana Organizing Project leaders and activists, who partnered with many groups within the Partnership for Montana’s Future. The diverse crowd reflected the range of Montana residents affected by state budget cuts: faith leaders, union workers, Montanans struggling with disabilities, health care providers, Native Americans, children, and many more. Speaking at the rally, Pastor Dan Krebill, Montana Association of Churches President and MOP Board Member, led the crowd with chants of “These Cuts Hurt” while discussing cuts to vital services across the state. The message was loud and clear. We need Courage NOT Cuts! 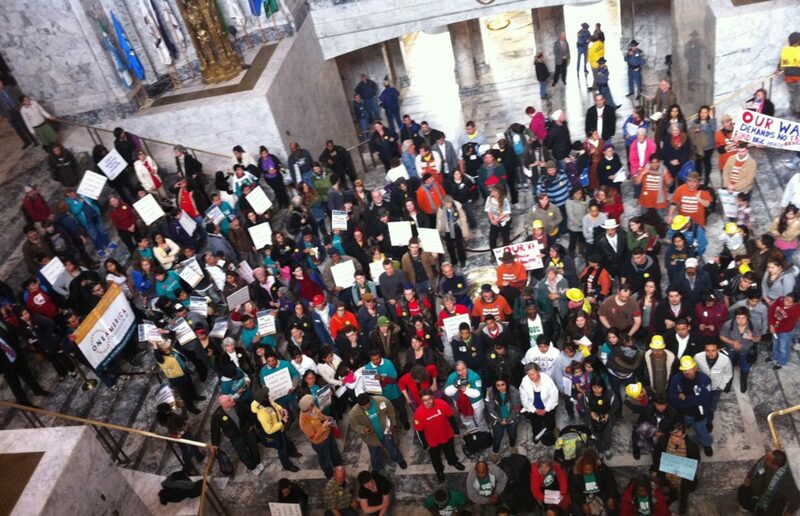 You can read the Great Falls Tribune article about the rally here. See pictures from the event on our facebook page here.